OK, this was supposed to be the last post in my Definitive Guide to Gaming Spirit series (see Post One and Post Two links above), but between yesterday and today one thing has happened. I have decided to go to the Travel Blogger Exchange conference in Cancun (#TBEX). It was a spur of the moment decision. And it was a perfect chance to remember how to book an outbound award Spirit flight, because they had availability for one of the dates that worked for me. Not so much for the return, so I had to use Avios. But first thing first. Remember this? 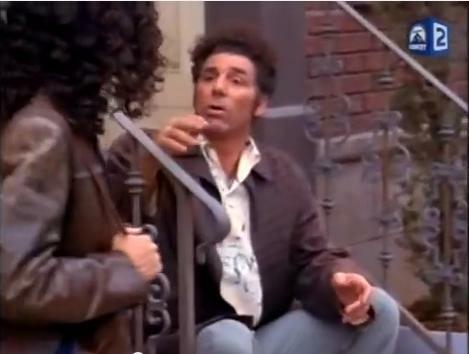 KRAMER: Wait a second. You don’t even know how to book Spirit. ELAINE: Hey, I got it. OK, maybe I have embellished that one thing, but you do remember how it ended up for Elaine, right? Relax, no matter what the critics say, Spirit is nothing like the Soup Nazi. Well, maybe a little. Just don’t make a mistake, and you are going to be fine. The Spirit award booking interface is really good and user friendly. Everything is laid out very clearly. The triangles in the left upper corner mean the off-peak fare is available. Grab it and your full price in miles and taxes is displayed at the bottom. Then comes the upsell, but with Spirit Air you really need to pay attention. 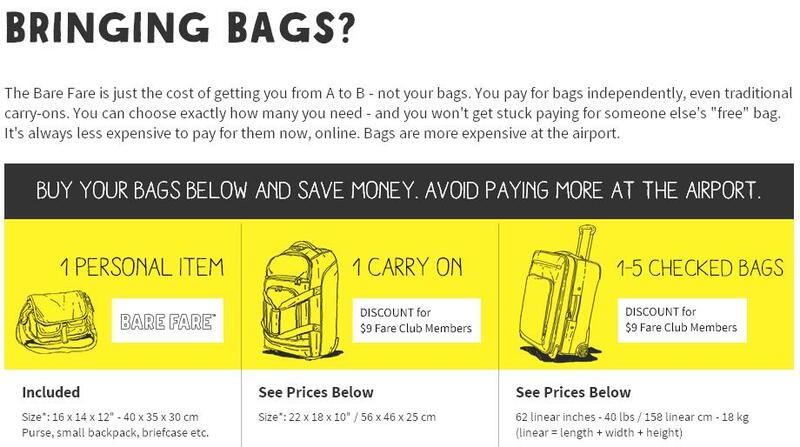 Since Spirit charges for luggage, be it checked or carry-on, you’d better pay for it online, simply because it will cost you more at the airport. However, you don’t have to pay during your reservation process, but do make sure you pay before the online registration, and here is why. And if you are a bit skeptical about what you can do with a personal item, check these two hilarious Spirit Air Strip Shows. Yes, ladies, you will enjoy it, too! Anyway, back to my reservation. 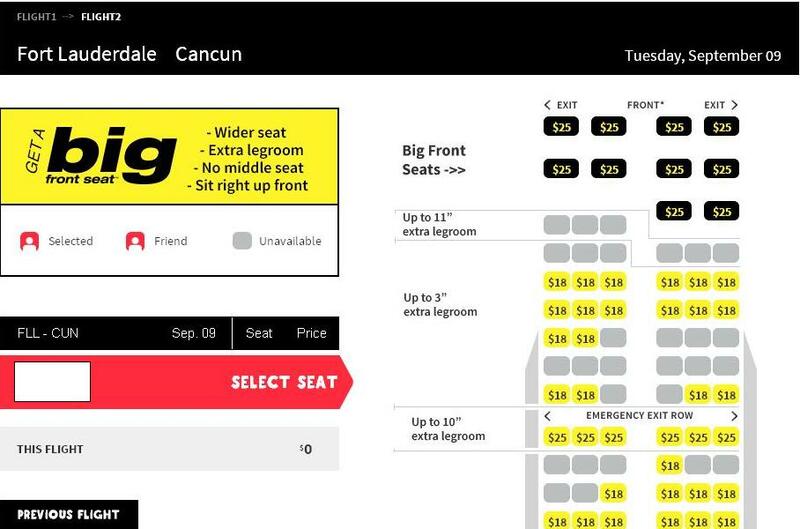 After you choose your flight, you have a chance to pick your seat. For a fee, of course. Like I said in my previous post, the best way to get the most out of Spirit is to fly non-stop. 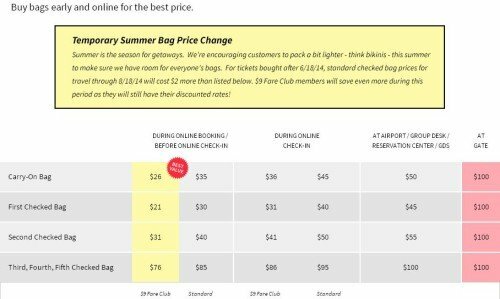 In this regard, my flight is far from ideal since it includes two segments and you have to pay for your seat per segment, and not per flight. 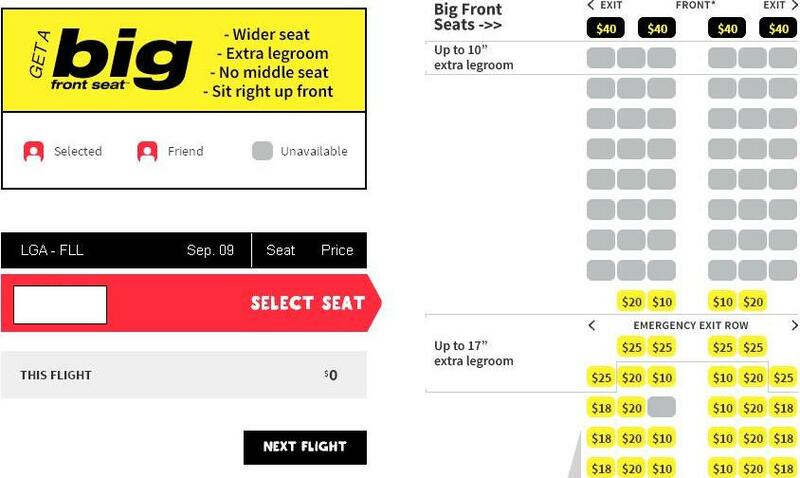 Here are two screenshots that give you an idea of what Spirit wants to charge you for the privilege of choosing your seat. Please note that the flight between New York and Fort Lauderdale is roughly three hours, while the flight between Fort Lauderdale and Cancun is 1 hour 50 minutes. For the first leg, Spirit wants $40 for a Big Front Seat (which is like First Domestic sans food and booze), $25 for an emergency exit seat, which is an equivalent of the Economy Comfort, and $10 for choosing any other seat on the bus. 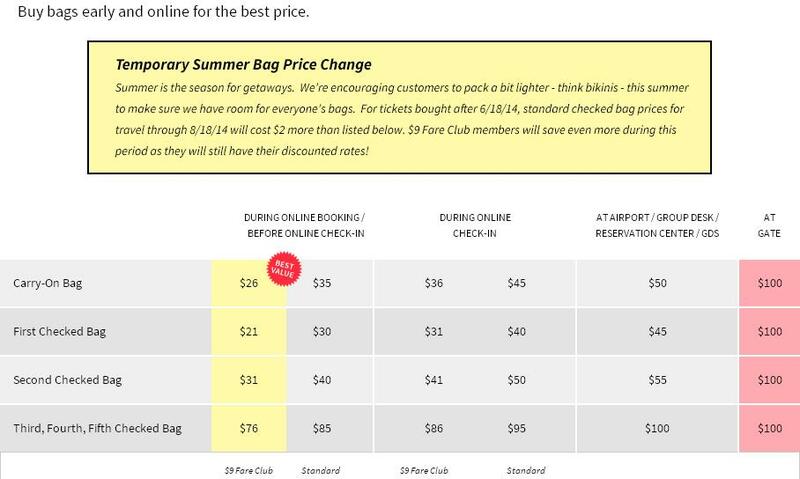 For the second leg, they want $25 for a Big Front, $25 for an Economy Comfort, and strangely $18 to choose any other seat you want. I haven’t picked a seat for now, but I might opt for the LGA-FLL leg. $40 for three hours of comfort is acceptable in my book. Still, a few times I haven’t picked up a seat, Spirit would put me in an isle seat, and a couple of times, they have actually put me in an emergency exit seat. Whether or not it’s been a coincidence, or I have received preferential treatment due to my Free Spirit credit card, I don’t know. On most occasions, I do splurge for the Big Seast, though. Now to the interesting part. My layover time in FLL was supposed to be less than 40 minutes. To tell you the truth, I wouldn’t have probably chanced it with any airline, let alone Spirit. But I decided to go ahead with it in the name of research. I have never experienced serious delays with Spirit, but knowing their reputation, I do feel a bit uneasy. Still, if things fall through, I plan to continue my flight from Miami on AA (booked with British Avios). It’s 4,500 Avios and there are several flights from Fort Lauderdale to Cancun during the day. UPDATE: Just logged in my reservation and found that they changed my departure time from 6:50 to 6:30. That should give me an hour at FLL, so I’m feeling a little better. So let’s summarize. Even if I opt to pay for the Big Seat, it will send me back $65 plus $43 in taxes, so $108 and 5,000 Free Spirit miles total. Imagine further, that I decide to splurge for a couple of drinks on board (I don’t drink too much even when it’s free), a soda and a sandwich; that would cost me extra $20-22, and would make this trip indistinguishable from a first-class domestic flight on any legacy carrier sans a few transcontinental routes. Now, if you think I’m a Spirit Air fanboy, nothing could be further from the truth! 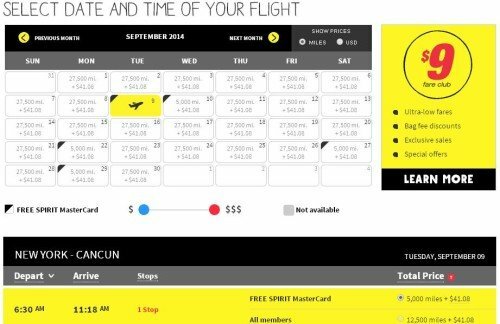 There are legitimate reasons to avoid flying Spirit Airlines in some cases, and I will talk about them as well as about some tricks to improve your game, in my final Spirit post. As to the flight back, since Spirit did not have the off-peak rate for my desirable dates, I just booked it on American Airlines for 10,000 Avios and $50 in taxes. Got a non-stop, too. One-way redemption programs rule! By the way, if any of you, folks, are going to #TBEX (I hear Cancun is beautiful in September, LOL), give me a shout and we’ll have a little impromptu DO. It is held at a great All-Inclusive resort, Moon Palace, and yes, the they have special rates that are quite reasonable, too. I haven’t flown Spirit – but more because their closest airport is still 3 hours away from me and not because I hold anything against the airline. Just wanted to say I’ll see you at TBEX! Thanks for your comment, Becky. Looking forward to meeting you! Too bad I must have the spirit credit card. Thanks for writing, ucipass. Yes, the videos are funny, right in line with the Spirit marketing strategy, LOL. As to the Spirit card, well, totally works it, especially if you’re flexible. So glad to finally see someone give Spirit its due! I’ve tried here and there to share my mostly positive experiences with Spirit but always feel my enthusiasm is viewed askance. That being said, in the last year or so the availability has decreased so drastically that despite my extreme flexibility, the miles ARE nearly worthless to me. I used to use my Spirit card for everything, now I’ve stopped because I have over 200K miles and not many opportunities to use them. It’s really a shame. And unlike you, I find better availability NYC to FLL, but very little to Cancun, almost none to Costa Rica, and NONE to Cartagena Colombia, even when the flights are on sale and the planes aren’t full. Don’t know what happened there! Audrey, thank you for your comment. Yes, Spirit is a weird, but exceptionally rewarding program if you know how to work it. Here is a couple of trick that work for me, and they might work for you, as well. 1. If you’re based in NYC, start looking for flight from FLL. It’s easy to find flights between FLL and NYC, and booking 2 flights may save you miles (but not taxes) sometimes. 2. If you want Cartagena, consider flying to Bogota and Medellin instead and connect with Avianca (Star Alliance) or LAN Columbis (One World). There is much better availability to these cities. In general, I agree that the availability has gotten worse this year, but if you have miles in several programs, you are never out of options. Just don’t be loyal to one player, that’s all. I never used Spirit but got the credit card about 6 months ago. Then did the 8000 hate miles and ended up with 45,K miles in both my account as well as my husbands. Last week I snagged 4 tickets to STT for 5K each way. Perfect timing to go to St John at the end of January. I couldn’t believe it! That left us with 5K each. Snagged another 2 tickets for the Eagles/Dallas game in TX for 2,500 each way. Now all my miles are used for great trips! I did prepay for one checked bag each way but it was worth it. 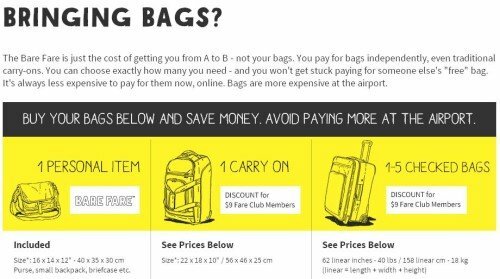 We will just combine clothes into one bag instead of packing our own and will check it since it’s cheaper than a carryon.